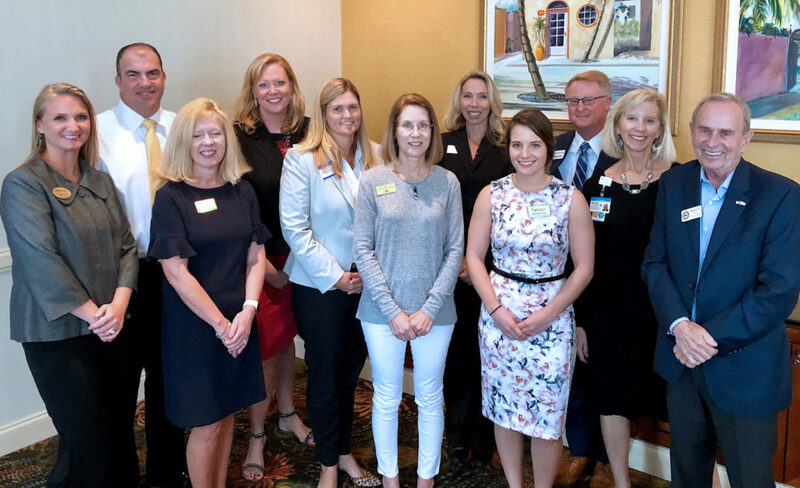 During the January meeting, Gulf Coast PRSA installed 2019 officers under the direction of Naples Mayor Bill Barnett. The Public Relations Society of America (PRSA) is the nation’s largest professional organization serving the communications community with a mission to “make communications professionals smarter, better prepared and more connected through all stages of their careers.” It represents more than 30,000 members comprised of communications professionals spanning every industry sector nationwide and college and university students who encompass the Public Relations Student Society of America (PRSSA). The premier organization for PR and marketing professionals in Collier County, the Gulf Coast Chapter of PRSA, was founded in 2000 and has grown to 60 members who benefit from monthly education programs, periodic networking events and assistance with becoming accredited in PR.